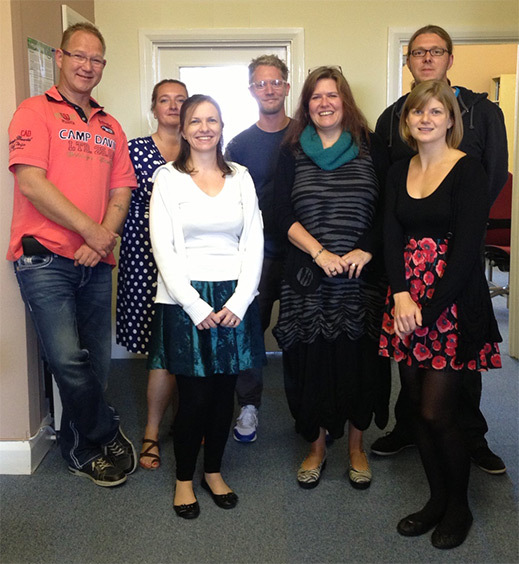 This September we were delighted to welcome two visitors from Stiebel Eltron to our offices in Ross-on-Wye. Balthasar has provided language services to this innovative company for over ten years, translating their technical and marketing documentation into over 20 languages. We like to work in close cooperation with our customers and Stiebel Eltron is no exception. We continually review our work processes and devote resources to the development of new tools to improve efficiency and drive up quality for both our companies. The visit was a great success and we worked through our packed agenda in record time! One of the main topics was the online glossary tool that we are currently developing for Stiebel Eltron, which will allow staff in the company’s subsidiaries around the world fast access to agreed company terminology, and enable them to request changes or offer additions as necessary. This will help us make our translations and Stiebel Eltron’s technical documentation more accurate and consistent than ever.